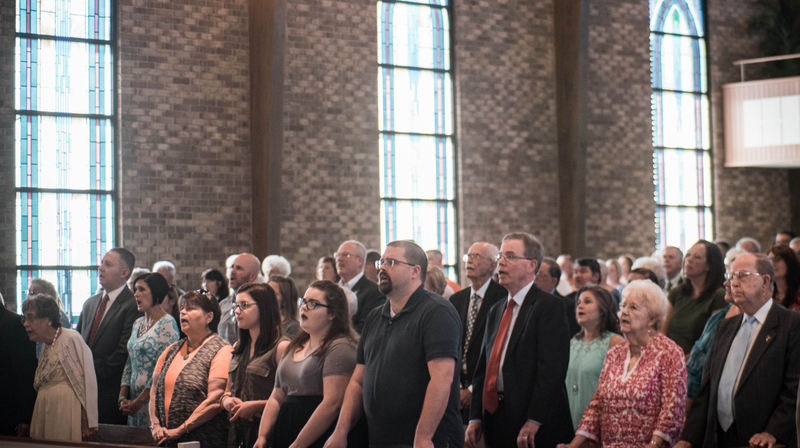 Worship is led by the BHBC Praise Team in the 9:00 a.m. service, and by our Adult Choir in the 11:00 a.m. service. Our Senior Pastor preaches in both services. Small Groups take place each week at 10:00 a.m., with classes for every age group, and childcare available for younger children. Click here to learn more. Sunday evenings consist of seasonal presentations by our Adult Choir and Celebration Orchestra. Various concerts and children's events take place throughout the year. We also gather to observe the Lord's Supper quarterly. Evening service times vary so check our website and printed publications. During the school year, Wednesday night activities begin with a time of fellowship around the evening meal. Afterward, a time of worship in song, corporate prayer, and Bible study is available for adults in the Worship Center. Children may take part in the children's choirs and mission activities available for various age groups. Our youth also have their own time of Worship and activities on Wednesday evenings. Why not join us this week? If we can answer any questions for you, we'll be happy to. In fact, we'd love to hear from you. Click here to introduce yourself, or contact us by phone or email.